Polynesian settlers to New Zealand brought two South American plants, the kūmara and the gourd. Māori ate the young fruit of the gourd, or hue, in summer, baking it in an earth oven. Hollowed out, the matured fruit provided water vessels and food containers. Because gourds were more difficult to grow in the South Island, seaweed and bark vessels were commonly used there. 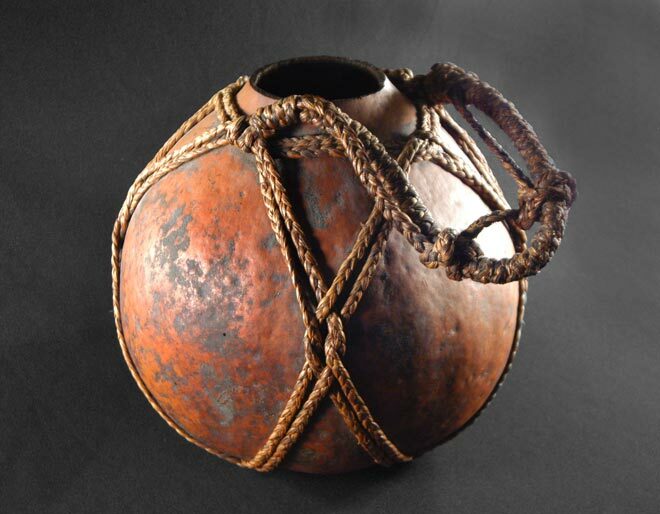 Empty gourds were also made into musical instruments.